Things to Consider When Considering a Cash Advance In Singapore. When you suddenly discover that you are out of money, instead of panicking, you might want to obtain a cash advance from a licensed moneylending company in Singapore. If you need to get funding right away, this is the best option for you to take. Most of them only require a simple credit check, and once you are approved, the money is usually provided to you in 24 hours or less. This is an excellent option for people in a tight spot, but there are a few things you need to consider before getting a cash advance from a licensed moneylender in Singapore. The first thing you want to consider is whether or not you will be able to pay back the loan in full. Although most loans provide you with a longer duration of time to pay everything back, cash advance loans do not offer you the same option. 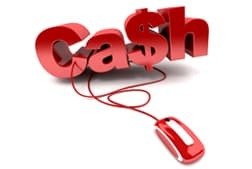 If you have your salary coming to you in the next few weeks that you can use to pay off the loan, then you should consider getting the cash advance loan right away. Another thing to consider is the interest rate that you will be charged. However, as long as you are able to pay off the loan quickly, the amount of interest that you will owe won’t be that much at all. If you need a cash advance in Singapore, there are many licensed money lender that will be willing to work with you. You won’t have to worry about extensive credit checks, and the money will be yours within a day. On Line Credit is here to help. We will be glad to get you the money that you need right away. Go ahead and apply with us today.